Jay-Z's new album to come to Apple Music after just one week's Tidal exclusivity? | What Hi-Fi? Jay-Z's new album 4:44 might be exclusive to his streaming service Tidal, but it won't be for long. In fact, it could be on iTunes and Apple Music by the end of the week, according a report in Billboard. There's no word on whether it will come to other streaming services such as Spotify. 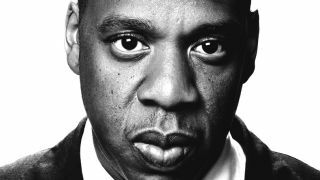 In the past, Jay-Z has pulled his albums from Apple Music in a row between the two firms, though his work subsequently reappeared on Apple's platforms. In one of the songs on his new album, Jay-Z also references his feud with Apple (via Mac Rumors). But he gotta respect the Elohim as a whole new regime." Last year, Apple was rumoured to be considering buying Tidal, but that rumour was shot down by Apple executive (and former Beats bigwig) Jimmy Iovine: "We're really running our own race," Iovine said at the time. "We're not looking to acquire any streaming services." These kinds of exclusivity deals have in the past been decried as harmful to the music industry, as they restrict access and make people more likely to acquire content through illegal downloading or streaming.